We are a community of believers who desire to walk in authentic relationship with the Trinity and with one another. As we allow ourselves to receive the healing love of God, we experience a deeper integration of truth. We experience wholeness, peace and joy. This journey of discovery changes our view of God, how we see ourselves and how we see each other. We mature and become our true-selves in Christ Jesus. This process is our hope for wholeness. Our view toward service. God is our Father and we are his beloved children. Our service then comes as an outpouring response to the love we’ve received. Therefore, we are under little compulsion to earn our place in the Father's heart. We understand our righteousness before God is a gift that is offered in the atoning sacrifice of Jesus Christ and in the power of his resurrected life at work in our souls through the abiding Holy Spirit. Ultimately, we want our service of others to be inspired by the grace we receive from God. We recognize that our individual responsibility is to discover and respond to the "good works" the Father prepared for us to participate in. Our corporate responsibility is to share our many unique expressions with one another as we receive and submit our lives to the grace-gifts in others. In this way, we are a Church for the City...a unified expression of Jesus by bringing the reality of His Kingdom to our neighbors and to the nations. 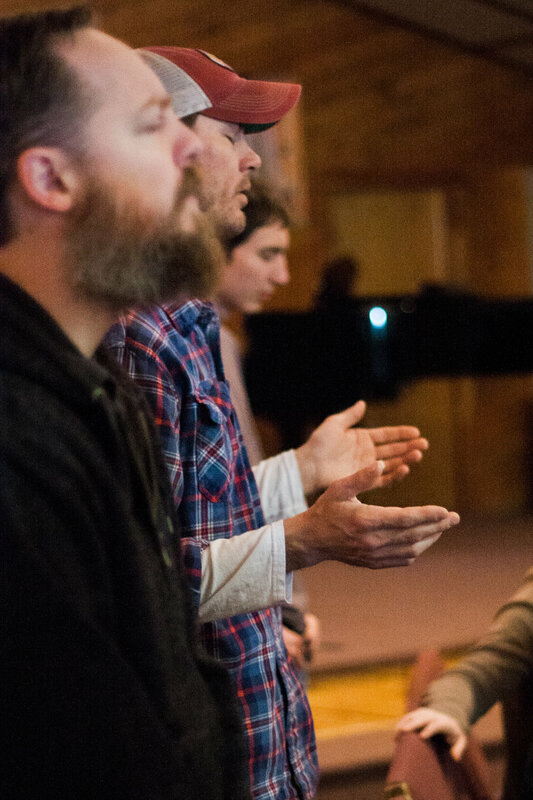 Beloved - our journey of faith is a love story and our worship is a response. Redeemed - we are rescued from the lineage of sin and death by God's mercy through faith in Jesus Christ. Sons and Daughters in the Lord - men and women adopted into the Family of God, orphans no more! United in the Spirit - our community is the byproduct of love and the Spirit of Christ stands between us. Empowered - as Kingdom people, being conformed into the image of Jesus, we rest in the power of God at work in our lives...His name is Holy Spirit. Visionaries - We invite the Father to restore our sanctified imagination. God has a compelling vision over each of our lives. May we discover and share that vision in the confidence of our unique design. Striving - we're less motivated by earning God's approval or His affections; both are gifts. Building the Church - that's Jesus' role. Our's is to seek first and lay hold of the Kingdom of God. Arguing - Not all roads lead to God and yet Jesus, the Way, loves people so much he'd be willing to walk every road to find them. Judging - While we endeavor to discern the truth of God's word, we have little desire to hold judgement in our hearts against another.